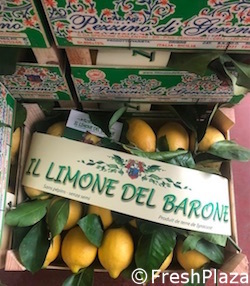 Giovanni Pezzino di Geronimo is the marketing manager of the Il Limone del Barone, a historical company active since 1700, which has been passed on generation after generation. 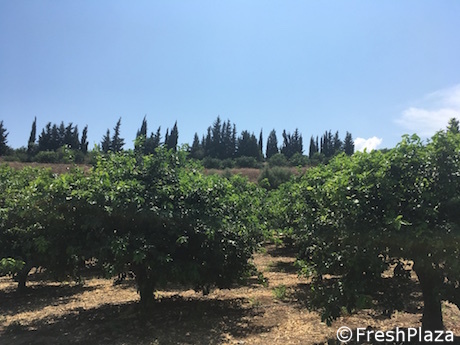 He said to FreshPlaza, “When they ask me why my lemons are special, I reply that it is simply unique not only because it is seedless but also because of its intense taste and aroma”. “This lemon has been generated by a clone that we only produce. It was spontaneously born from the improving gemmary mutation deriving from the Femminello Siracusano variety which was carried out within our company”. 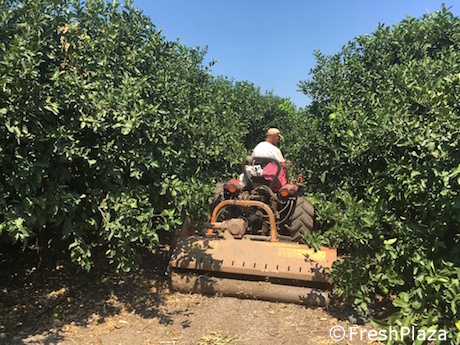 The company is located in Sicily and occupies 70 hectares, over which it carries out organic farming with regards to both orange groves and especially seedless Femminello Sfusato lemon variety. “Customers have been hopelessly used to buy products in this ‘globalised ocean’, where one can find lemons from all over the world and where there is no distinction in terms of quality. The goal is to get the most convenient price, without taking other aspects into consideration – especially with regards to the different countries’ production regulations”. 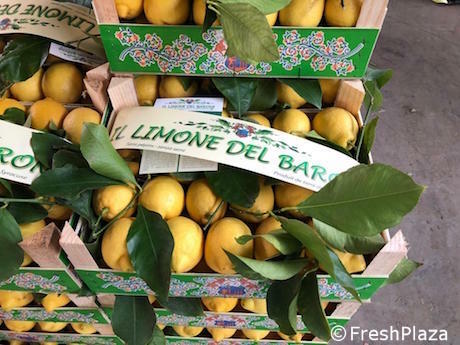 From our conversation with Pezzino, we found out that the majority of the lemons available on the markets are treated with wax and chemical products in order to improve the preservation and to prevent mould spreading. The result is odourless produce with a useless peel. 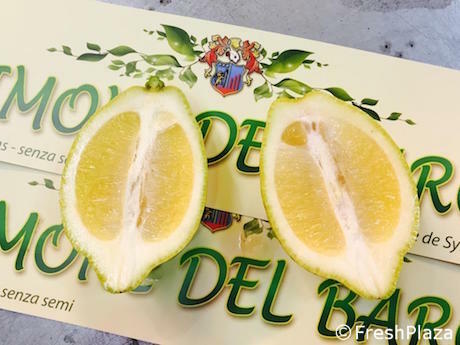 The Limone del Barone’s lemons are 100% natural. Its skin is edible as it is not treated and, if it is finely cut, it can be used to flavour dishes without the risk of dealing with foreign substances. 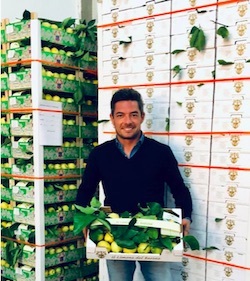 Giovanni highlighted, “Our policy is to mainly market leaved lemons which are harvested and shipped to our customer within the day as a guarantee of freshness”. “Therefore, I would like to point out again that the price policy does not pay off eventually. We suggest purchasing Italian produce, where the production regulations and the requirements are among the safest and the healthiest. In Italy, productions are strongly checked by local phytosanitary institutions, thus granting high objective qualitative standards”. The entrepreneur concluded, “As our lemon is organic, it is a non-treated fruit. Additionally, the presence of leaves on our lemons is a demonstration that the fruit did not undergo any wax treatment as it would be impossible to carry it out while keeping the leaves intact”.